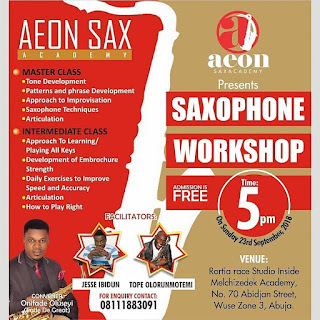 SAX WORKSHOP!!! 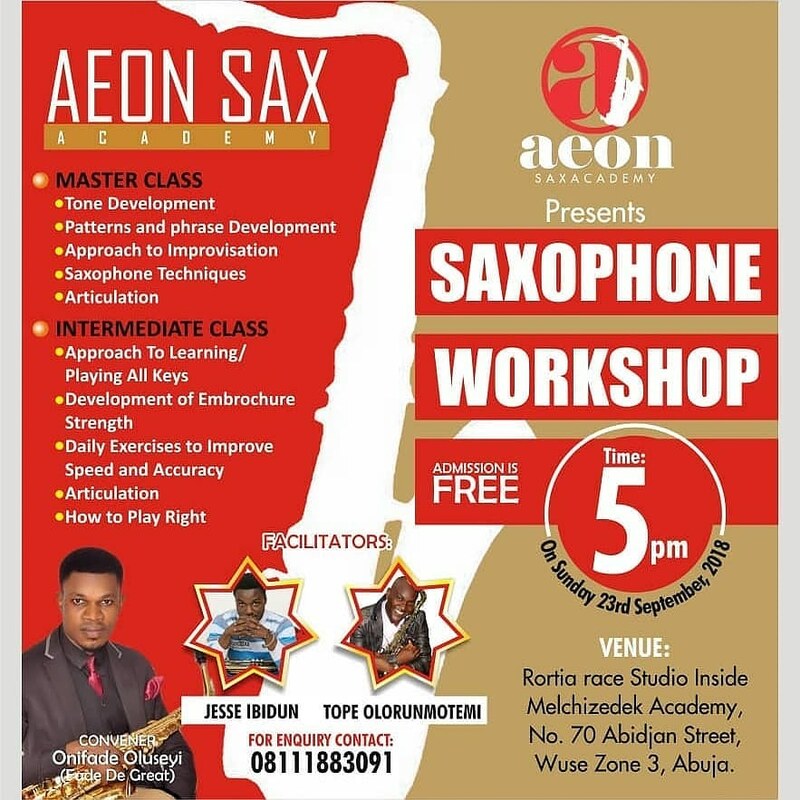 Are you earnestly hoping to take a leap on your sax career? Do you have a problem with any of the headlines above? Then this is your platform to learn. Venue: 70 Abidjan street , Wuse zone 3 Abuja.